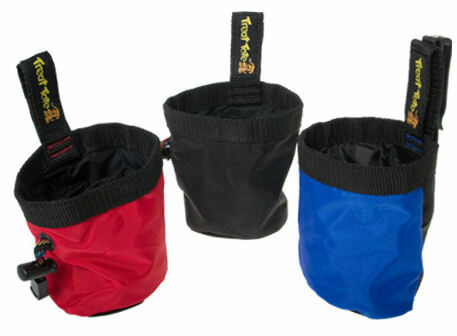 Perfect for afternoons in the park or training sessions, the Treat Tote is a small pouch designed to carry a handful of treats for your dog. The versatile Treat Tote has a specially designed clip that slips onto your pocket or belt. Keep crumbs out of your pocket and a smile on your dog's face. Available in 1 or 2 cup sizes in red, blue or black.